The minimum for pick up is one roll. There is no minimum order for delivery; however the delivery charge remains the same for partial loads. No, delivery is charged based on location and mileage. When ordering, please let us know your preferred delivery time, and our friendly staff will do their best to accommodate your request. If our delivery schedule does not allow us to meet your request, we’ll work with you to find the next best available time. Tvetene Turf does not provide installation services, however we can provide you with a list of qualified, area landscapers that can help. 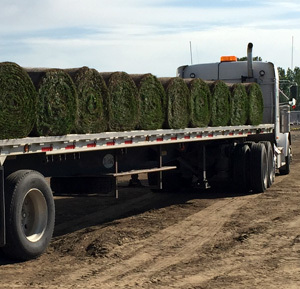 Tvetene Turf is delivered on a pallet by truck. With our trailer-mounted forklift, our delivery driver will make every effort to place each pallet in a convenient location. 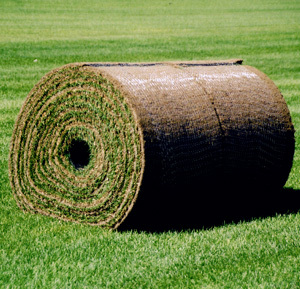 What is the size of your turf rolls? 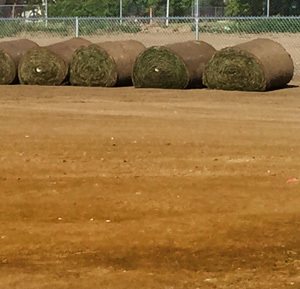 Tvetene Turf sod rolls are 2’ x 5’, yielding ten square feet per roll. Also available upon request are big rolls that are 4′ x 90′, yielding 360 sq ft per roll. We prefer that the homeowner, or your landscaper, be present for delivery to insure that the pallets are located exactly where you want them. However, payment can be made prior to delivery and instructions on where to place the pallets can be given to our sales team on ordering. It’s important that clear instructions on exactly where pallets are to be placed are given, particularly for larger orders. Sod can become quite heavy. If you are not there and your instructions are not clear, it could be a lot of work moving it elsewhere! Tvetene Turf accepts most major credit cards, checks and cash. All deliveries are payable either in advance, or at the time of delivery. We typically require three-four days advance notice for delivered orders. We can deliver anywhere, but our primary delivery areas include south central Montana and northern Wyoming. Yes – you will receive a receipt either from our office for pick ups, or from our drivers upon delivery. The amount of sod you need is easily calculated using a basic square footage formula – length in feet x width in feet = total square footage (100’ long x 40’ wide = 4000 square feet). 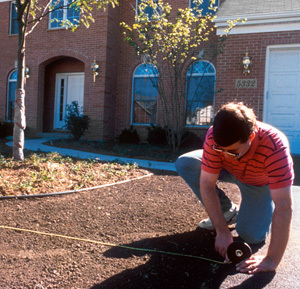 Irregularly shaped yards can be mapped out in a series of smaller squares or rectangles and added together. For assistance in determining the correct amount of Tvetene Turf sod to order, please contact our friendly lawn experts and we’ll gladly assist you. I have never laid sod before; can you give me some guidance? Call our friendly team for advice or see the installation and care section of this site. After laying your Tvetene Turf lawn it will not need mowing for at least two weeks. See our installation and care guide for more information. What about weeds? Anything I can do? A healthy vigorous Tvetene Turf lawn is the first line of defense. We recommend that occasional weeds be spot-sprayed with a weed killer that’s safe for your lawn. Avoid the combination fertilizer/weed killers, as they often have a variety of additional chemicals that may potentially damage your lawn, and they’re expensive. My grass is yellowing, why is it happening and what can I do? Various causes can give your lawn a yellow or brown color, such as compaction, lack of nutrients and water. 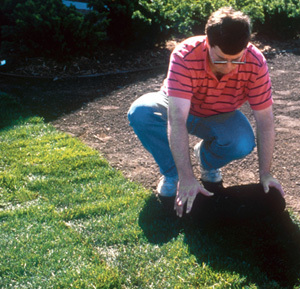 Check your soil moisture, and insure that you’re fertilizing regularly. 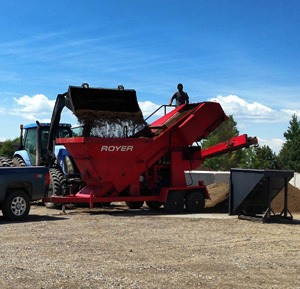 We have several varieties of fertilizer available that are custom-mixed to match your new sod. We recommend a minimum soil depth of 4-6 inches of quality soil. You might also choose to improve your existing soil with amenities, such as gypsum, which is available at our location. How do I apply the fertilizer? We have several fertilizers specifically blended for use on your new lawn. Our Tvetene Turf Starter should be applied to your topsoil prior to installation to give your new sod a healthy boost right away. Tvetene Turf Builder can be applied in the spring, throughout the summer, and in the fall to feed your lawn important nutrients that may be missing in your soil type. All of our fertilizers can be applied with a simple broadcast spreader, or with our handy hand-spreader available with your fertilizer purchase. 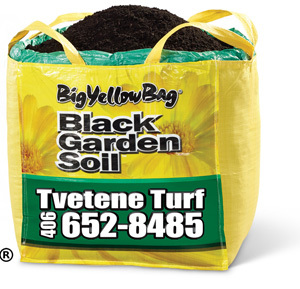 How can I be sure of the quality and freshness of Tvetene Turf? As Tvetene Turf sod is grown locally, your lawn won’t be affected by climate stress. We harvest daily, and will typically harvest your order within twelve hours of delivery to insure that your order is the freshest product possible to meet your requirements. Feel free to drop in and check the quality and freshness for yourself – we would love to meet you! What should I do to the ground to get it ready for my turf? Proper preparation is the key to long-term enjoyment of your Tvetene Turf lawn. Go to “Preparing Your Site” for Tvetene Turf’s recommendations. Before installing Tvetene Turf sod in an existing lawn area, should I remove existing lawn? Yes – existing grass and weeds should be eliminated prior to installing new sod. Please review our “Preparing Your Site” page for more information. 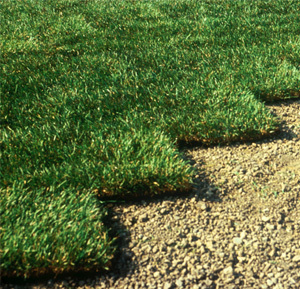 When is the best time to install Tvetene Turf sod? 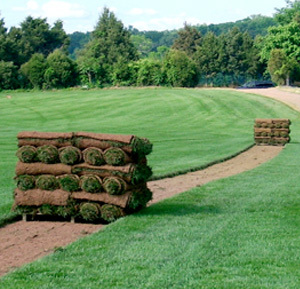 Tvetene Turf sod can be installed anytime from early spring to late fall. Our sod can even be installed after it goes dormant in the fall. A fall installation gives your lawn the earliest possible start the following spring. 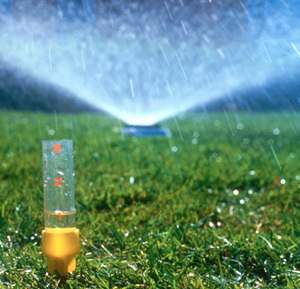 Remember – installing sod during the heat of summer will require that you make sure it gets a lot of water! Is it cheaper to seed grass than to lay sod? Not necessarily! 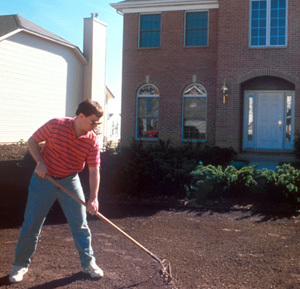 Seeding a lawn requires a much longer time period to have an established, usable lawn to enjoy. 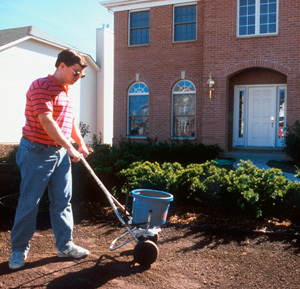 Over-seeding is typically required to fill in bare spots, so plan on seeding several times. Additionally, seeded lawns are also prone to weed growth and water erosion prior to the establishment of the adult plants. A seeded lawn may require more water, lose water to run-off, and require considerably more effort/cost to control weeds. All of these costs should be considered when choosing seed versus sod. My yard has shady trees overhead, what sod can I lay? Tvetene Turf offers a tall fescue/bluegrass blend that can be a good solution in shaded areas. Contact our lawn experts for more information about growing turf in shady areas. How do I fix dead areas or areas that have thinned? Thin areas may simply need additional seeding, but we recommend that you first determine WHY your lawn is thinning. This may be a sign of poor nutrients, or insufficient watering schedules. Areas damaged by pets, etc. can easily be cut out, and a roll or two of new sod installed. How long after I install my sod until my kids can play on it? We recommend at least two weeks after installation to allow adequate root development, and proper initial watering. I have a dog. Will my new lawn survive? Your new Tvetene Turf sod is hearty and healthy, giving it surprising powers of durability and recovery. However, even the strongest lawn can be damaged by large pets. Some additional care and maintenance, as well as regular breaks from pet traffic, can improve your lawn’s ability to withstand your pets. Problem areas can be removed and new rolls installed as need. In addition to our sod products, we offer seed blends and fertilizer, as well as the tools you’ll need for a weekend “instant lawn” project. We also have a dedicated team that strives to make your lawn purchase as enjoyable as possible, and with our after sales customer service, help is just a phone call away. 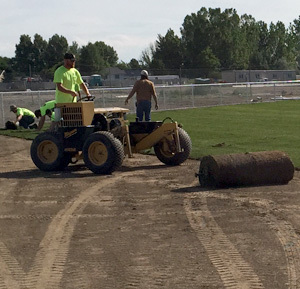 Call Tvetene Turf at (406) 652-8485 or toll free at (800) 448-5568 for assistance.